While May has the distinction of being National Youth Traffic Safety Month it also serves as the start of the most dangerous driving season for teens. As warm weather continues and schools wrap up for the year, car stereos go up, windows come down and safe driving can take a back seat. Teens: Keep an eye on each other and help your friends avoid dangerous behavior. Parents: Don’t forget that driving is the most dangerous thing we do. Model the right behavior and recognize that inexperience, a lack of skills and the air of invincibility are a dangerous combination out on are roads. 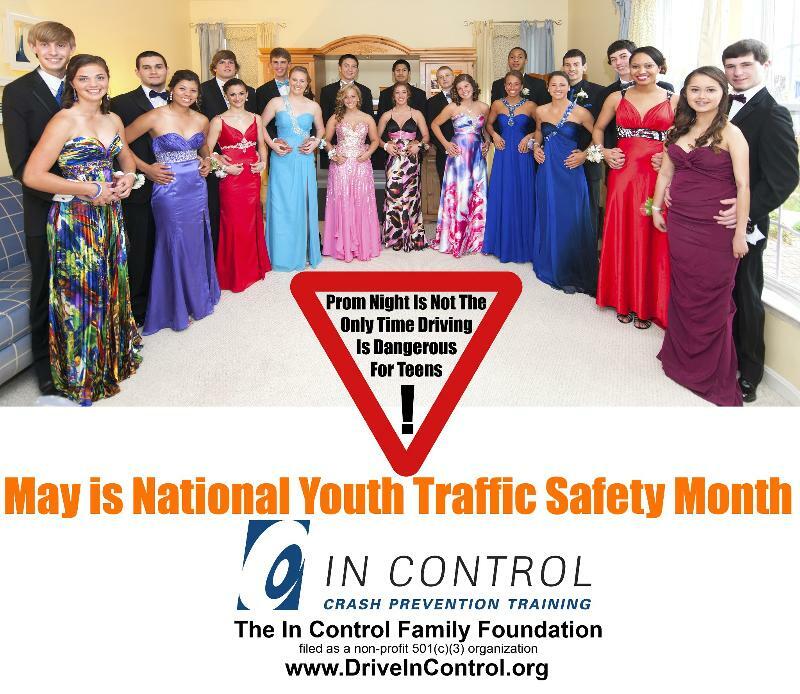 Our crash prevention training really can help you, your teen or your teen’s friends avoid the unthinkable. Please consider training with us if you have not already or sharing this thought with friends & family. Gift certificates make great graduation gifts too! Over the next few weeks you may see In Control on TV, hear us in radio interviews or read quotes from us in newspapers and magazines. We are always excited to help get the word out about safe driving, but we recognize that we could never have graduated 25,000 students without your recommendations to friends and family. If there is anything special we could do in your community to touch more families, please do not hesitate to contact us.